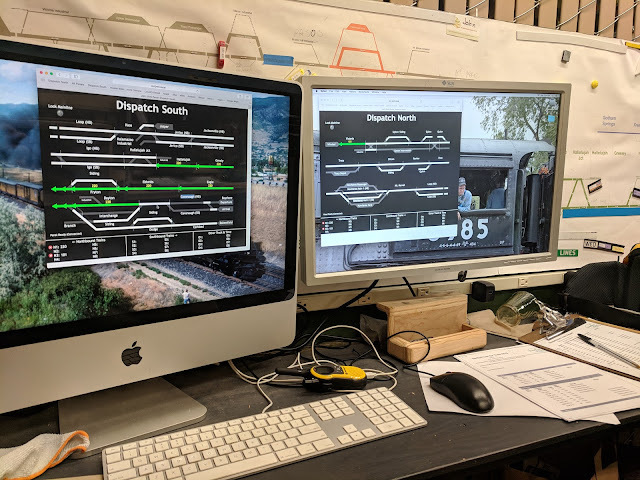 After a somewhat slow start at Silicon Valley Lines this morning, activity picked up quickly and we promptly overloaded Nowheres Yard with multiple trains converging on the yard from three origins almost at the same time. A couple crews ended up waiting before and in the yard much longer than intended. I tried to do my best as dispatcher to divert some traffic away and allow the yard to catch up. A fun morning, even though it was spent in front of screens.